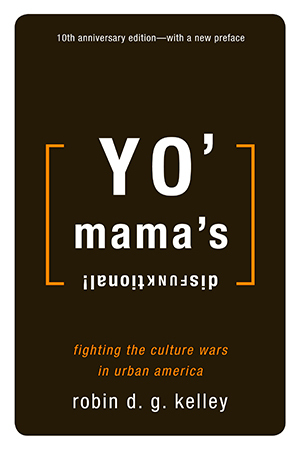 Beacon Press: Yo' Mama's Disfunktional! In this vibrant, thought-provoking book, Kelley, “the preeminant historian of black popular culture writing today” (Cornel West) shows how the multicolored urban working class is the solution to the ills of American cities. He undermines widespread misunderstandings of black culture and shows how they have contributed to the failure of social policy to save our cities.